Quayside - Steel & Oak Brewing Co.
Our brewer Eric really loves guava. So much so if I didn’t say anything we’d just be a guava based brewery in New West. Guava Hefeweizen, Guava Lager, Guava Honey Doppelbock, etc… Surprisingly this is the first beer we’ve released with guava in it! Quayside is made with Pilsner, Oat, and Wheat malt. We conditioned it on guava and let the Sacch Trois yeast ferment it out a bit so that it has refreshing tropical notes but finishes crisp and dry with a touch of funk. 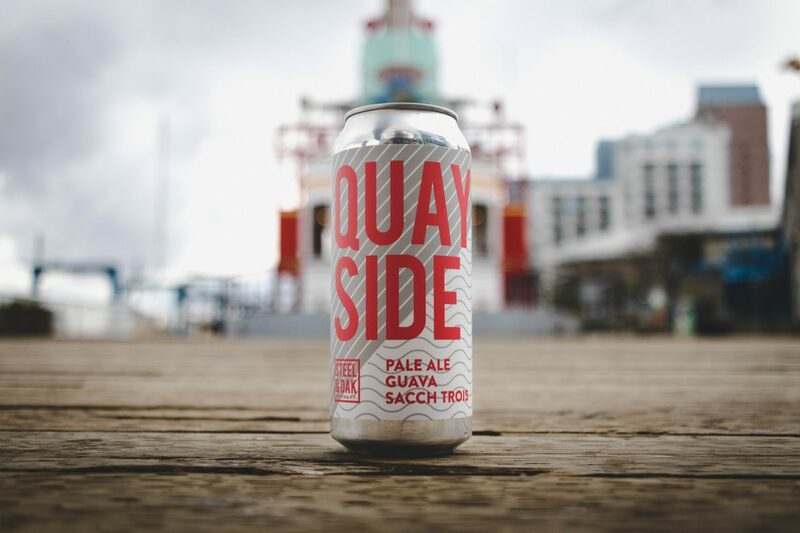 We decided to call it Quayside as you’ll only be able to get it at our brewery which is technically quayside… although it looks more like overpass-side, busystreetside or railside depending on the angle you’re arriving from!